ShortScale :: View topic - Roland TR-808 "Re-issue"
Posted: Sat Jan 18, 2014 2:50 pm Post subject: Roland TR-808 "Re-issue"
Rumours seem to suggest it is a digital re-modelling of the 808 and will also include the 909 sounds. 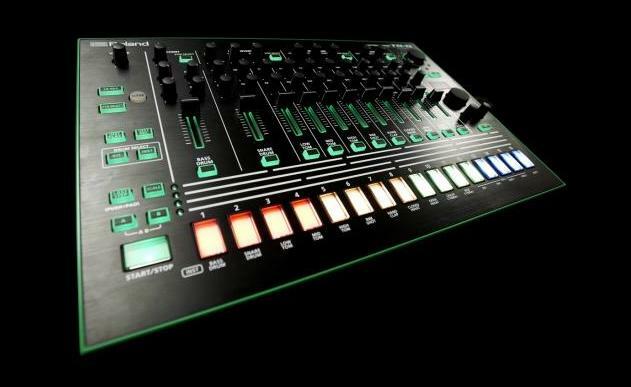 Seems to be part of a new Roland AIRA range. Wonder what else is in the pipeline? Space Echo? Juno? TB-303? The cynic in me would say: if you asked Roland about reissuing the Space Echo they'd reply that the RE-20 is as close as we're going to get. Don't get me wrong; the RE-20 is a great piece of kit and I'd still like to see the RE-201 or RE-150 on sale again...except I don't think it would happen in a million years. I don't know whether the components - or near-enough equivalents - are available any more, and they're probably so maintenance-intensive that I don't know how it would fit into the current market occupied by digital products. I'd love to be proved wrong on that though. If companies can still sell dozens of types of mass-produced tube amplifiers, why not a tape echo machine? Pretty sure that any reissued Space Echo would be digital rather than tape based. Roland don't seem interested in analogue stuff any more. the thing with drum machines is that they can be very easily reproduced digitally. it makes basically no difference if you are playing a sample of the drum sound or producing it by analog electronics. it's not a synthesizer where you are able to control a wide range of sound generation capabilities, the sounds are preset. the thing that makes the TR-808 so cool is the interface. super easy to whip out a beat, you have direct control over some limited sound variables for every individual drum sound, and you have individual outputs for every drum sound giving you even more control with how each sound can be processed. actually the MC-303 already does most of this. the only thing it doesn't have is individual outs. but it has enough onboard processing to do without them in most cases. actually the MC-303 is criminally under-rated. just because it's not analog people think it's crap. Interesting. Always wondered about that. I've got a Boss drum machine that has the 808/909/303 sounds in it. Didn't know what there was to be gained from having the real thing, other than a considerably lighter bank balance. The big question if it�s modeled digitally: will it breathe like a real TR-808? 1. You see, the capacitors for the VCAs don�t always fully discharge before the instrument is next triggered which creates a kind of pumping effect. Also, the original clap circuit was poorly designed and you usually can�t hear the clap reverb on the first couple hits. Will they mimic this? 2. Some of the oscillators are free-running, meaning that the beginning of the waveform can differ each time the hats, cymbals and cowbell are triggered. Also, the kick drum uses a bridged T-resonator circuit � a fundamentally unstable analog arrangement where the trigger pings/excites the circuit which bursts into resonance then slowly fades. It�s a beautiful, natural & organic-sounding sound. Will this be emulated? the mc-303 got some stick because of functionality more than the fact it's digital, and there were other, better grooveboxes released around the same time. the mc-505 was really good, if I remember. have Roland ever released a straight tb-303 reissue? they'd make a fortune. I don't think Roland have ever reissued anything. yeah mc-505 is good. besides the lack of individual outs mc-303, doesn't have much hampering functionality if you just want to use it as a drum machine. for using it as 808/303 style MIDI sequencer, contrary to popular belief, it is really quite good as long as you don't have overblown expectations due to an ignorance of the limits of the technology. for using it as a synthesizer, well for that it is fairly weak. it's just a "dance" focused rompler in that respect. however, even then if you are a creative person there's still tons and tons of things you can do with just the preset sounds. this actually makes it sound much much cooler than what I had been thinking initially. the quoted points above are just really really irrelevant as far as actual practical use in a music making situation goes. there's so many ways you can make something sound more "organic". it's just not even worth the trouble to so accurately recreate an 808. the 808 is such a played out sound it would be way more worth the effort for them to spend the time building functionality for you to be able to expand the sound well beyond what an 808 can do. like I said before, the cool thing about an 808 is the interface, which it seems they are capturing quite well. as far as the sound, especially with the knowledge that they'll be using the supernatural tech, I think this has the potential to be even more interesting sounding than an 808. IT'S VERY IMPORTANT THAT THIS NEW DRUM MACHINE MALFNCTIONS LIKE THE OLD ONE WHICH I ALREADY HAVE JECAUSE I AM GNIUS. Roland have released some more details on this new range. Looks like there is a drum machine (TR-8 ), TB-303 style bass synth (TB-3), voice transformer (VT-3) and 2 octave synth (System-1). They're not analogue (surprise, surprise) but some new virtual analogue technology Roland have developed called ACB (Analogue Circuit Behaviour). Slightly off-topic; I wonder what it would sound like to put these things through an EHX Analogizer? Might go and suggest that on the 150+ page love/hate (mainly hate) thread on Gearslutz about these. Internets will probably melt from NERDRAGE. yeah... gearslutz are pretty much the pinnacle of cork sniffing twats getting upset about inconsequential minutia. And they never will. I read something about it a while ago about it's a japanese thing and I'm really drunk right now so you're just gonna have to take my word for it. I don't think it's necessarily a Japanese thing. Korg is a Japanese company and they're putting out analog stuff. From what I've read about Roland on synth forums, they see using analog again as a step backwards and they are not interested in that no matter how much people on forums long for the analog stuff. I think it's just a Boss/Roland thing - there's a book out there somewhere that lists the history of the brand and includes some interviews with the designers/engineers of the old classics like the DD-3 and Metal Zone. I'm sure one of the quotes was to the effect of "we're a forward-looking company so we never reissue anything." Maybe that's the one that Noirie read? Roland have released all the details for these now. 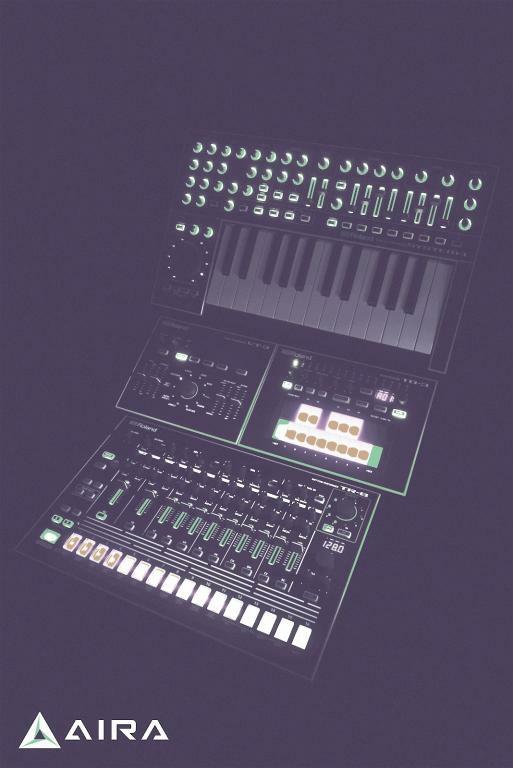 The SYSTEM-1 can control and even host software recreations of classic Roland synthesizers. That�s right. The SYSTEM-1 can control plug-in versions of now legendary Roland synths, and those same plugins can be hosted in the SYSTEM-1 itself � with no computer required. You can even switch between the SYSTEM-1�s internal sounds and those of the hosted plug-in. We call this wizardry �PLUG-OUT� � and we�re pretty excited about it. And we think you�ll be excited too once you experience the supreme authenticity of the upcoming SH-101 softsynth, with the SYSTEM-1 providing an intuitive and fully automatic one-to-one control interface that just works. 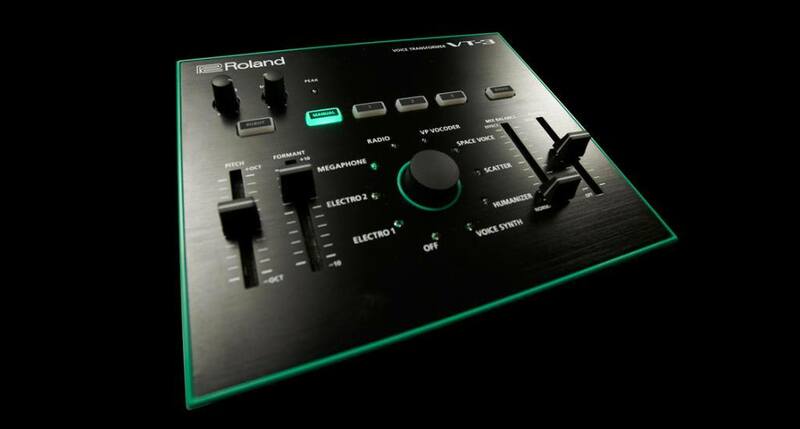 Let�s be honest - who could make a better plug-in version of a classic Roland synth than Roland? Shame it's only got a 2 octave keyboard. Maybe they'll release bigger versions at a later date.